Our team of experts will help you determine which hearing aid is right for you. Contact us today to schedule your appointment and free hearing screening. Pittsburgh’s Top-Rated Premiere Audiologists, serving patients in 5 locations throughout Southwestern PA! Hearing loss is usually gradual, and you may often fail to recognize when it becomes severe enough to warrant hearing aids. 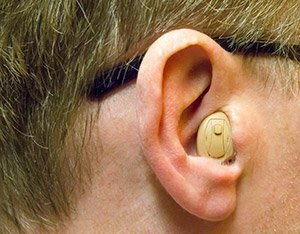 Most people have no idea which kind of hearing aid they need, and will fail to comply with usage guidelines if the device does not make a difference in their lives. That’s where we come in. Hearing Unlimited, serving Southwestern PA, carries some of the top hearing aid brands and styles to make sure you find the perfect hearing aid to fit your need. We take pride in our personalized care approach by having you try a device first to make sure you have the best hearing equipment that will truly fit into your daily life. And with our Hear Clear Guarantee, we offer free lifetime hearing aid batteries, free check-ups, maintenance, fittings, consultations and programming to make sure that your hearing aid will always be working at its best. Our team of experts will help you determine which hearing aid is right for you. Contact us at 412-347-5550 or book an appointment online for a free hearing screening. 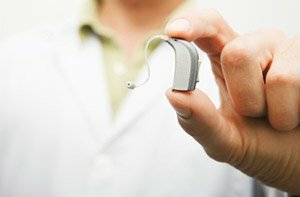 Who Should I Consult Before Purchasing a Hearing Aid? 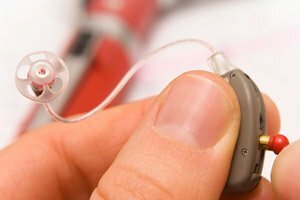 Under federal and state rules, hearing aids generally must be provided by an audiologist or a licensed dispenser. You are also supposed to get a medical evaluation first – to make sure you do not have a serious ear disease – though most consumers waive this requirement. When you come to Hearing Unlimited in Southwestern PA, a trained, licensed audiologist will help you select a model that’s the perfect fit for you. 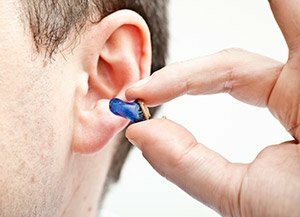 How Do I Keep My Hearing Aids in their Best Condition? Hearing aids are an electronic device that requires regular maintenance and occasional repairs. It’s common for patient’s to endure problems with their hearing aids, rather than get them fixed in a timely fashion. At Hearing Unlimited, when it’s time for cleaning, repairs, or other maintenance, you know exactly where to go. You just have to come back to Hearing Unlimited. You’ll get free maintenance and programming services for the lifetime of your hearing aid, as well as free hearing aid batteries, free check-ups, and our generous warranty plans. 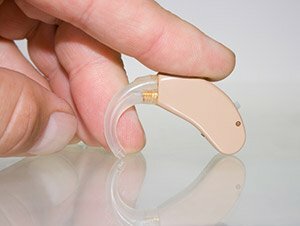 There are hundreds of hearing aid models on the market – each with its own pros and cons – and different styles of hearing aids are designed for different types and severities of hearing loss. With modern digital hearing aids that are properly fitted and adjusted, the volume and the kinds of sounds that you hear can be modified, amplifying only the sounds needed to improve your hearing. Some fit completely in the ear, others behind the ear. Some fill the ear canal, others only partially. Invisible-In-Canal hearing aids are completely invisible, sitting deep in the ear canal to ensure that sound travels quickly and accurately to your eardrum. They’re sculpted to perfectly fit your ear canal, and are designed for daily removal. 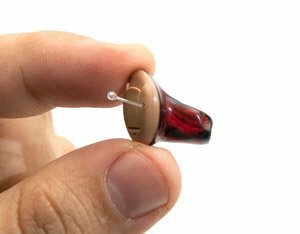 Completely-In-Canal hearing aids are so tiny they’re almost invisible when worn. Micro-technology allows them to be worn deep inside the ear canal, and they are programmed with automatic or push-button settings. However, good manual dexterity is required to place them properly in your ears, so consult your audiologist before making a commitment. Behind-the-Ear hearing aids sit behind the ear, amplifying the sound and passes the sound down a tube into the customized ear mold in your ear. These hearing aids offer more power than a custom-made hearing aid and are ideal for active wears and all degrees of hearing loss. Mini Behind-the-Ear style hearing aids are similar to the Behind-the-Ear style, but are smaller and less noticeable. The electronics are held in a slim case that hooks over the top of the ear, hiding the case behind the ear. A clear narrow tube then carries the sound into the ear canal, allowing natural sounds to enter. MiniBTE can be selected, programmed and fit in a single visit because they do not require custom molding. 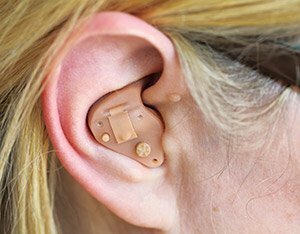 Also known as “Open-Ear” hearing aids, Receiver-In-Canal hearing aids are the newest design to reduce or eliminate the occlusion effect, or that plugged up feeling hearing aid users can sometimes experience. They fit a large range of hearing loss and has the most flexibility in programming. They are also water resistant and very durable. In-the-Canal hearing aids are small hearing aids that are custom made to fit the size and shape of your ear canal. They are barely visible in the ear and easy to use with the phone. They may not work well with smaller ears so please contact your audiologist to make sure you’re getting the right hearing aid for you. In-the-Ear hearing aids are custom made to fit comfortably in your ear. The larger size makes it easy to insert and has easy-to-operate features such as volume control. These aids are used to help mild to severe hearing loss. Hearing Unlimited, serving Southwestern PA, carries the top hearing aid brands and styles to make sure you find the perfect hearing aid to fit your need. Our team of experts will help you determine which hearing aid is right for you. Contact us today to schedule your appointment and free hearing screening.